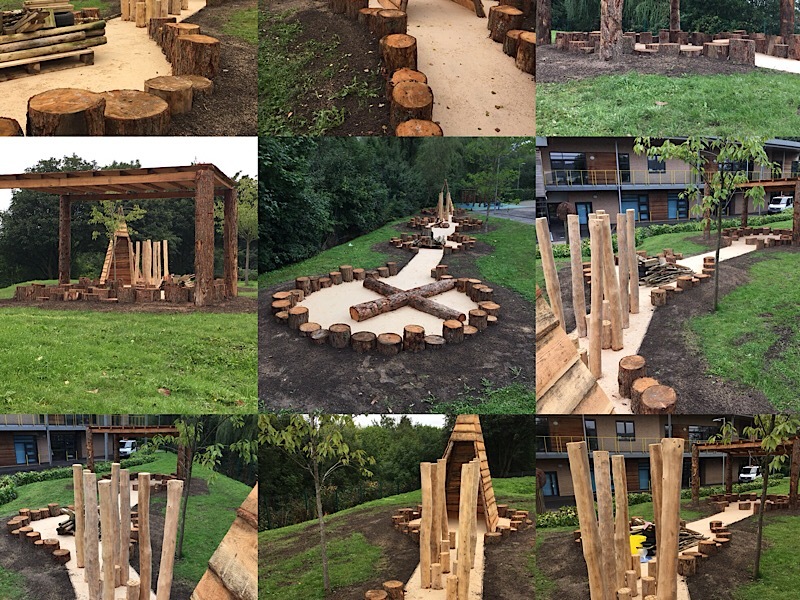 ‘Natural Play’ and ‘Creative Play’, the future of play provision? Numerous times we are asked to provide facilities where children can be creative and make their own play. 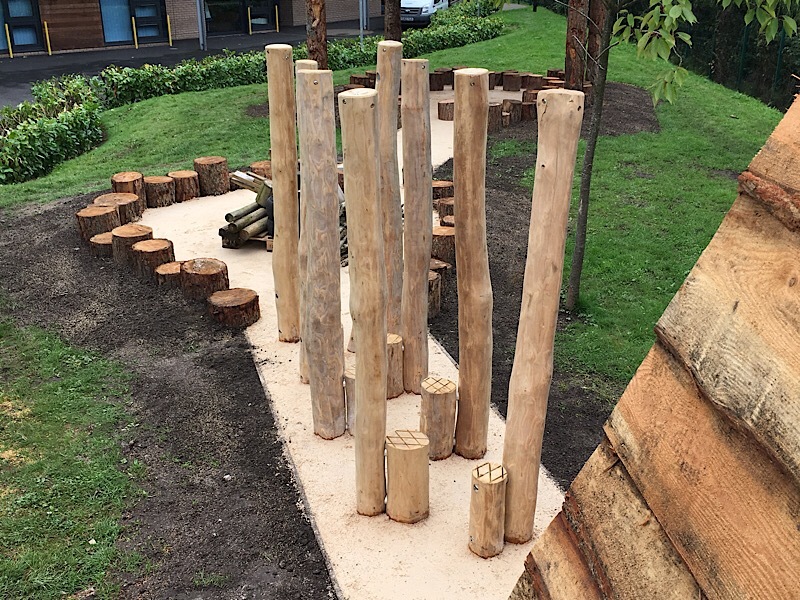 We decided we would support this ethos and develop a series of bespoke facilities within a school grounds in Blackburn. Working with the teachers we developed a series of circular activity areas with either fixed features or materials that children could use in creating their own play areas. This would be either role play, structures or puzzles. 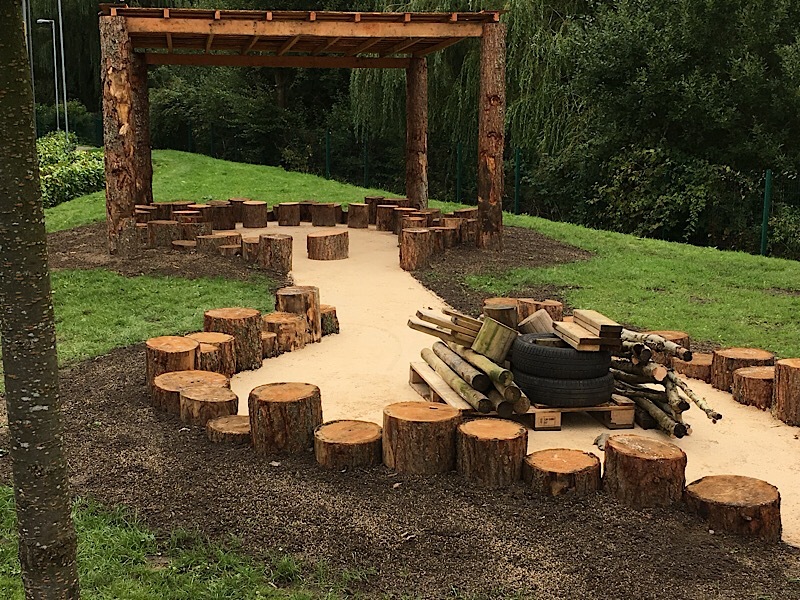 Providing materials that are flexible, natural and of a manageable size for children to move around enables them to be creative and constructive. It brings innovation together with an understanding of natural products and the size of materials. It encourages team work, challenges minds and thinking and provides a real educational resource. Materials used are larch and douglas fir together with crushed stone surfacing and planked timber slats. 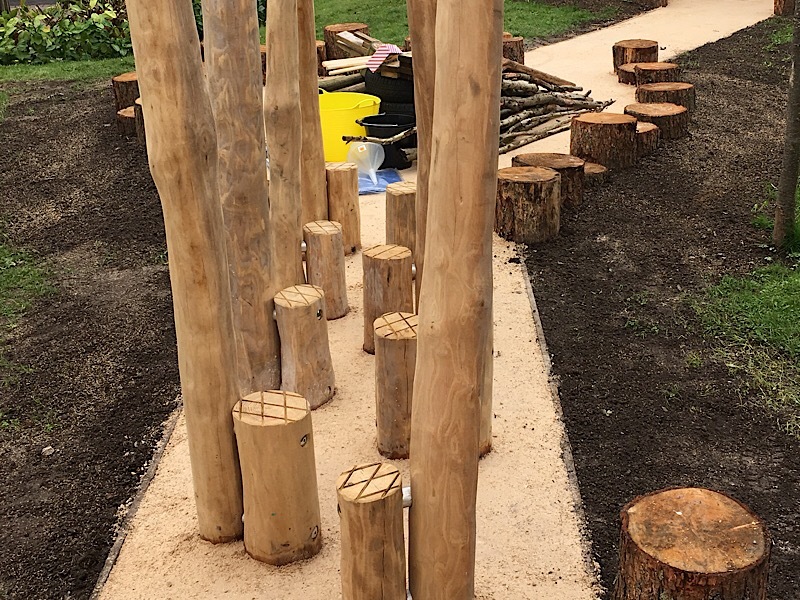 Bringing all these items together creates a superb creative play space and really does look the part in the school grounds. Natural materials does mean that natural decomposition will occur and bark will fall off, timber will go mouldy and will rot in time. This is all part of the educational understanding and process of using untreated materials. We have not concreted the path edge larch trunks into position. It is purely the weight of the timber and the trench and back-filling process that holds them in place. Rammed earth and vegetation will eventually hold the timbers firm enough to walk along, some with a slight wobble to challenge balance! provide a selection of materials sufficient enough to provide structure building materials for temporary shelters or table and chairs or bridge building or see-saw rocking etc. All this is non-defined and encourages creativity for children. It gives the opportunity for teachers to identify real practical skills some individuals’ posses and how they might help encourage this in a child’s development. If all children have is fixed equipment on a site then how does a teacher recognize potential in either construction, leadership, communication or design? Simple tasks express this, build a bridge, help one another, design the space, create a room etc etc. 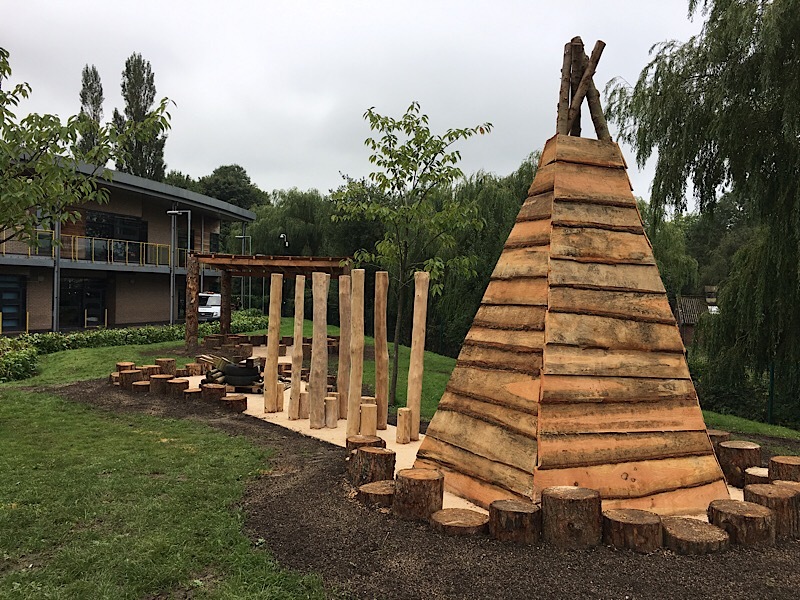 Our new creative provision looks superb, we are so pleased this was completed as a summer build and can't wait for the children's creativity to explode with excitement and innovation. 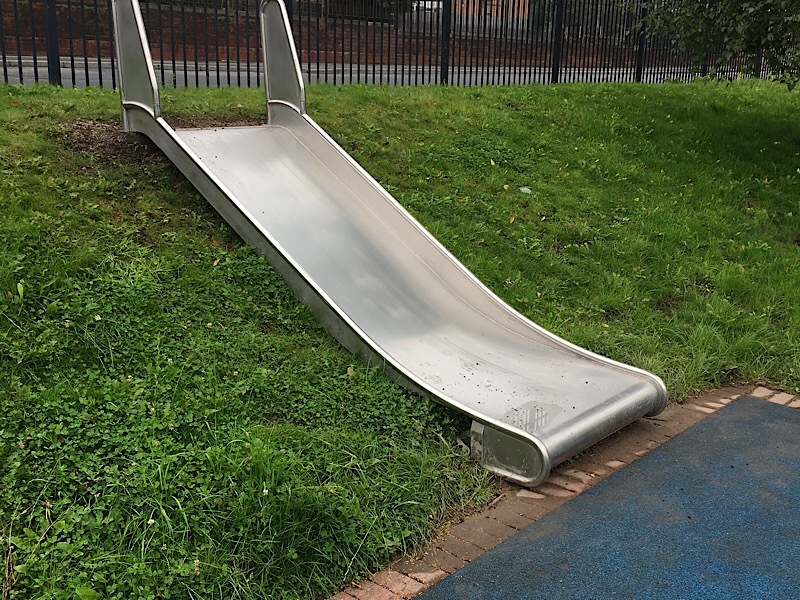 The design and build produced by Playscape Engineering is superb and we are thrilled with the end result.